Only 125 units of the Toyota 86 Special Edition will be sold in Canada, the automaker said. Toyota is adding a little extra spice to the 86 coupe it inherited from Scion (the former FR-S), offering Canadians a very limited number of what it calls a premium model of the sports car. The 86 Special Edition gets optioned-up and still comes in at $$34,245, including destination fees. Only 125 units will be sold in Canada, the automaker said. The 86 Special Edition is only offered in a manual transmission, which Toyota says in a statement "is the most popular choice on 86." 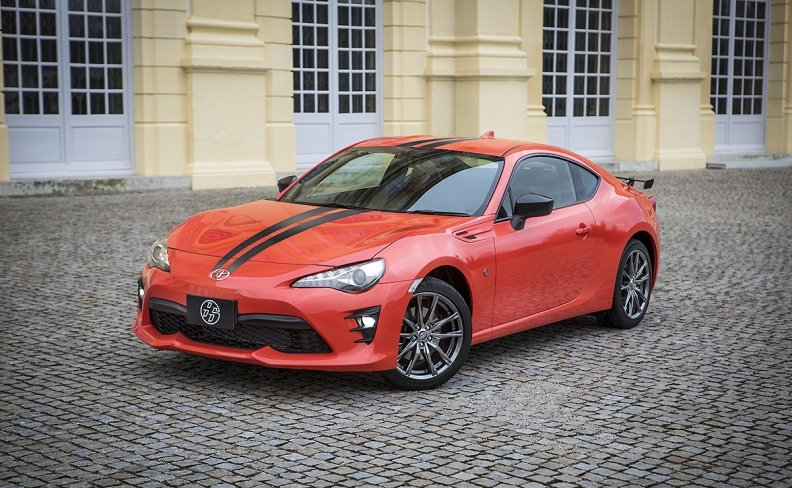 Toyota is calling the car the 860 Special Edition in the United States because that's the number of units available there. It comes with either a manual or automatic transmission there. The rear-wheel-drive car will have exclusive orange “solar flare” paint, a rear spoiler, heated outside mirrors and blacked-out 17-inch alloy wheels. The 86 Special Edition will also be available in “halo” white. The limited version is noteworthy since Toyota inherited the Scion's "mono-spec" trim, meaning the regular 2017 model has no factory choices except for transmission and paint color. Inside, there are heated black leather seats with orange stitching -- a styling theme that continues onto the steering wheel and centre console. There's also push-button start and dual-zone climate control. The unique infotainment system features a 4.2-inch screen with a G-force meter and stopwatch. It also displays vital information such as horsepower, torque curves and engine temperature, Toyota said in a press release. Laurence Illiff and Greg Layson contributed to this report.